Milwaukee has long been synonymous with beer. Its storied brewing heritage dates back to the 1850s when German farmers settled in the area, bringing their thirst with them. Agriculture flourished and a decade later Wisconsin was producing over three-quarters of the nation’s hops. Milwaukee burgeoned into a beacon of industry on the shores of Lake Michigan and was once the No. 1 beer producer in the world. Dubbed “Brew City,” it was home to four iconic breweries: Miller, Pabst, Schlitz and Blatz. Today, this Old World pedigree is blended with a vibrant beer scene and creative culinary culture. New brewpubs and breweries are sprouting up that embrace the German brewing tradition, but are branching out with some modern creations. In Milwaukee, even the ice cream has beer in it. Start your visit at Purple Door Ice Cream (205 S. 2nd St.), which whips up creamy and creative flavors incorporating everything from garlic to green tea. The menu is ever rotating, but look for the East Side Dark, featuring a dark lager from Lakefront Brewery. Absinthe and whiskey flavors are also available if you are feeling frisky. Start your brewery tours with the first microbrewery to open in Milwaukee after the repeal of Prohibition. Sprecher Brewery (701 W. Glendale Ave., Glendale) dates to 1985 and serves classic German styles, such as a roasty black lager called Black Bavarian or the rich, nutty Dopple Bock. The brewery’s recent foray into barrel aging has also yielded some beautiful beers. The Czar, a barrel-aged iteration of its imperial stout, is a gentle giant that conceals its big ABV behind layers of cocoa, caramel and coffee. Even the hard root beer at Sprecher is barrel-aged. Since you started with dessert, it is now time for dinner. It would not be a Friday in Milwaukee without a fish fry. 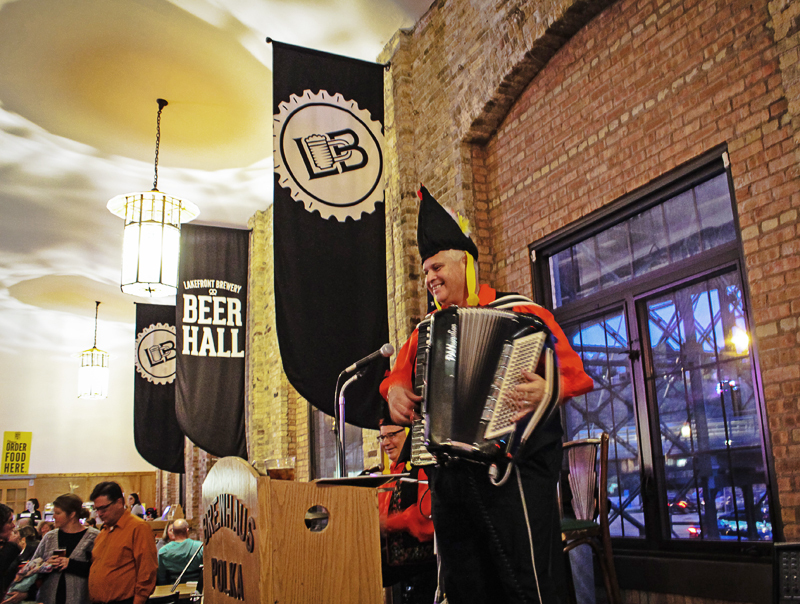 Lakefront Brewery (1872 N. Commerce St.) is transformed on Fridays into a German beer hall, complete with house polka band, beer-battered fish, and plenty of pints. Work up your appetite by going on the brewery tour to see the inner workings of this 27-year-old brewery, housed in a former trolley power station. Learn about the brewing process and sample four pours as you go. Extended Play Session IPA is one of the brewery’s latest creations and is a bright, citrusy ale that features Cascade and Citra hops. The hefty Beer Line Barley Wine will keep you warm on even the coldest winter nights, as it boasts a 12.5% ABV. It is layered with notes of vanilla, toffee and dark fruits. Be sure to try the current iteration of the My Turn Series, which is the experimental line that allows employees, even the accountant, to bring their dream beer to fruition. After tuckering yourself out polka dancing, head to The Brewhouse Inn & Suites (1215 N. 10th St.) for a good night’s rest. If you love beer, why sleep anywhere other than a brewery? The historic Pabst Brewery has been renovated into a beautiful hotel, complete with copper kettles and original stained glass window of King Gambrinus, the patron saint of beer. And while you cannot sleep in the copper kettles, every unique room has a cold six-pack of PBR in the fridge and a scenic view over the city. The building has been completely renovated, but kept in touch with its roots by featuring reclaimed wood and cream city brick in every suite. The Terrace Suites are especially delightful, with private rooftop balconies overlooking downtown. The hotel offers a light breakfast to start your day. 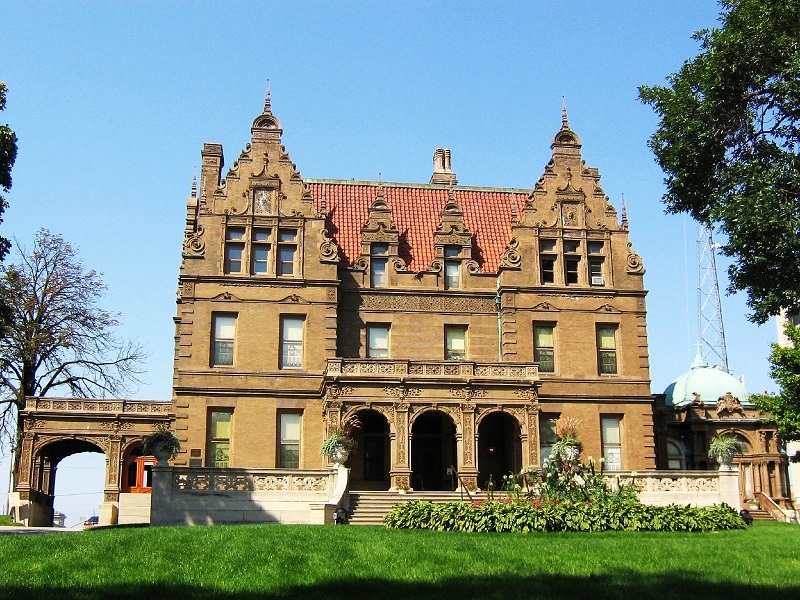 Also included in your stay are two tickets to the nearby Pabst Mansion (2000 W. Wisconsin Ave.). The 20,000-square-foot former residence of beer baron Capt. Frederick Pabst is now a museum dedicated to Milwaukee, beer and pictures of the captain’s illustrious mustache. 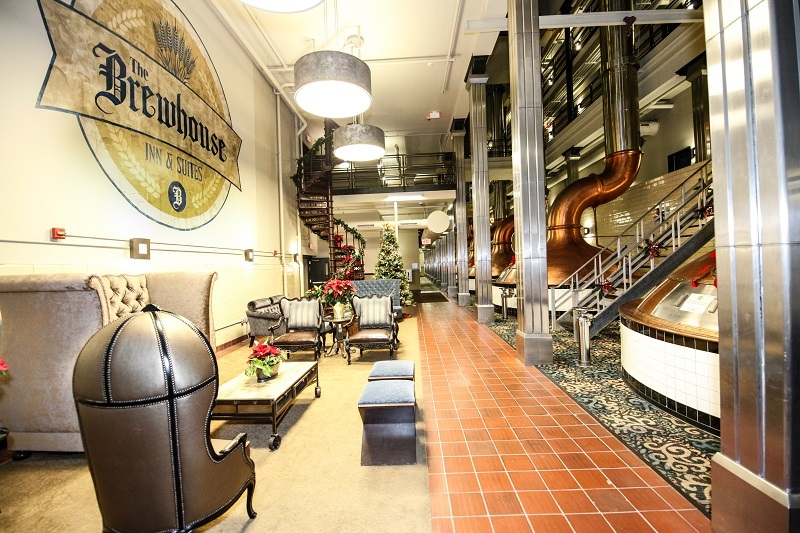 Tours run hourly starting at 10 a.m. Head back to the hotel, where tours of the historic Pabst brewery start at 11 a.m. and include a 16-ounce can of the Blue Ribbon. If you are feeling peckish from your educational morning, Jackson’s Blue Ribbon Pub is in-house and opens daily for lunch. Pick from 13 taps dedicated to Wisconsin beer to wash down the classic pub fare. The battered cheese curds are a must. If you want a shot of culture, the Milwaukee Art Museum (700 N. Art Museum Drive) has you covered. It overlooks Lake Michigan and is at the heart of a long stretch of parks and festival grounds downtown. The impressive permanent collection includes Edgar Degas, Claude Monet and Pablo Picasso. You could spend all day exploring the museum, but since the building itself is a work of art, simply driving by will leave time for another beer (or two). The Milwaukee County Historical Society (910 N. Old World 3rd St.) is also unveiling a new exhibit for 2016 titled “Brew City MKE: Craft, Culture, Community.” The exhibition details the history and culture of brewing in Milwaukee through artifacts, photographs and other memorabilia, some of which have not been seen by the public for decades. Just a bit north, in the Riverwest Neighborhood, is newcomer Company Brewing (735 E. Center St.). 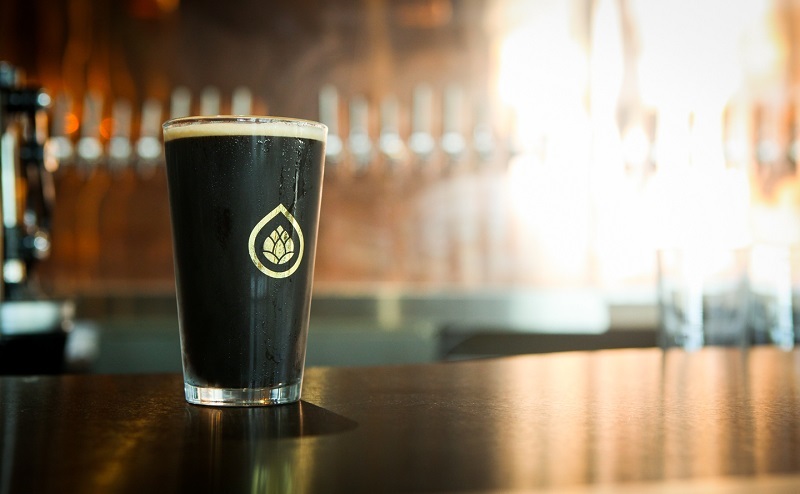 This eatery and nanobrewery already has a solid beer roster to complement the menu. Flights come with four tall pours of the session wheat, rye porter, oak-aged red ale and a zesty imperial IPA brewed with grapefruit called Pomp and Pamplemousse. The menu has a varied selection of vegan and vegetarian options, but the grilled octopus chorizo is a fan favorite. In summer try a refreshing radler, blending Pomp and Pamplemousse with Company’s hoppy house soda brewed with Citra hops. Head south to Milwaukee Brewing Co. (613 S. 2nd St.) for an entertaining and educational tour that includes liberal samples to let you explore the brewery’s lineup. Saturdays at 5 p.m. the brewery hosts an “open house” tour for folks more interested in trying the brewery’s latest inventions than learning about the technical aspects of brewing. The brewery has a close relationship with another Milwaukee company, Rishi Tea. 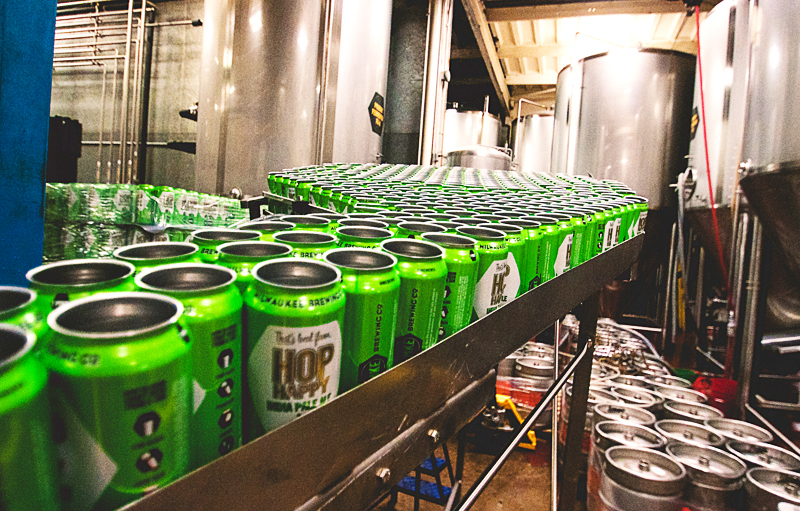 Hop Freak and O-Gii are part of their tea-infused beer collaboration, the Herb-In Legend Series. During winter, seek out Louie’s Resurrection, a bourbon-barrel-aged version of the flagship amber ale with warm hints of vanilla and caramel. For dinner, hop over to Hinterland Gastropub (222 E. Erie St.). Hinterland is a brewery based in Green Bay, but the Milwaukee gastropub offers some of the most creative cuisine in the city. The menu changes daily based on offerings from local farms. The cocktail menu also rotates frequently, and most of the creative concoctions include beer. Coffee aficionados and dark beer drinkers will love the Luna Coffee Stout for its rich, roasty flavor. The Village of Wauwatosa is an idyllic area about 30 minutes from downtown. Here you will find a hearty brunch at Café Bavaria (7700 Harwood Ave.). This German-themed restaurant is in a rustic building overlooking a quiet river. Spätzle, authentic German noodles, are made “in-haus” and are the foundation for many of the meals. The bier menu will make you feel like celebrating Oktoberfest year-round. Weather permitting, stroll along the river through Hoyt Park, then up to North Avenue and find one of the city’s hidden gems. Ray’s Growler Gallery (8930 W. North Ave., Milwaukee) is a cozy taproom on the second floor of a high-end bottle shop. The Gallery opened in 2014 as a “beer-centric universe” specializing in small-batch, experimental and local beers. It collaborates with many of Wisconsin’s top breweries, including Central Waters, Karben4 and O’so, to craft Gallery-exclusive beers. The tap list is constantly rotating, so you never know what you will find, but it will always be good. Enjoy a pint or flight inside or on the patio, or grab a growler to go. While you may feel the need to extend your stay, there is one last stop conveniently close to the airport. Landmark 1850 (5905 S. Howell Ave.) is Milwaukee’s oldest tavern and was originally a stagecoach stop. Cheers to Brew City with a final pint from the city that made beer famous. Plan Your Visit: Summer is the best time to visit. Beer gardens are open in many of the city’s parks. There is a different cultural festival every weekend with a variety of food, drink and live music. July features the world’s largest music festival, Summerfest. I would also recommend a stop on the near South side of Milwaukee where you can explore the Harley Museum and stay overnight at the Iron Horse hotel – a hotel made for bikers but open to everyone. Take a walk from the hotel and stop over at Brenner Brewing (http://brennerbrewing.com) a few blocks away. His Bacon Bomb Rauchbier is a must try and if you’re lucky enough to be there around Halloween, you need to sample his Witchcraft Bourbon Barrel Aged Imperial Stout (which a recent reviewer stated that currently he’s “on a mission to make the hashtag #BetterThanDarkLord become a thing, because yes, this is a RIS that is better than that fabled limited release down south” at Three Floyds).